Our **new distributors** need motivation to overcome the negativity of their initial prospects. Our experienced distributors need motivation when they run out of prospects they know. 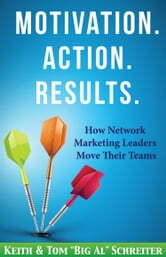 Put your team into momentum and **get results fast**. Books related to Motivation. Action. Results.